HelpHound Blog: Estate Agents: Are you paying to drive traffic to your website? 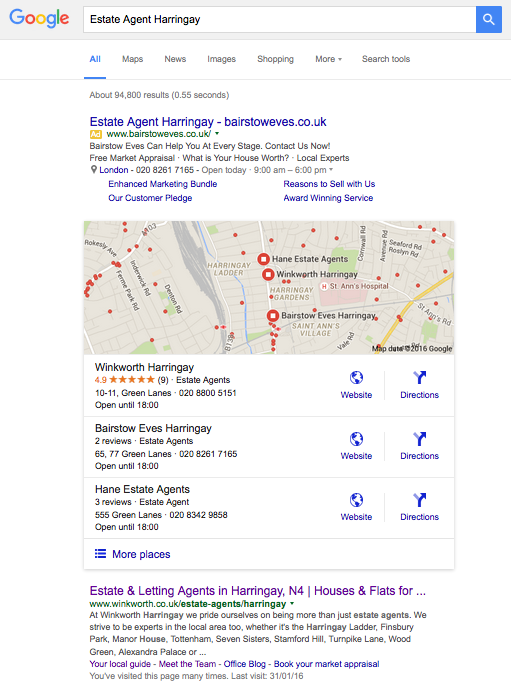 Estate Agents: Are you paying to drive traffic to your website? It matters not whether you are paying for SEO (search engine optimisation) or PPC (pay per click) or even both - the great news is that you are almost certainly looking at making significant savings. Never mind the acronyms - they both involve paying someone to ensure you show in search. So what if you could show in search - and look fantastic to your potential clients into the bargain - without having to pay for SEO or PPC? 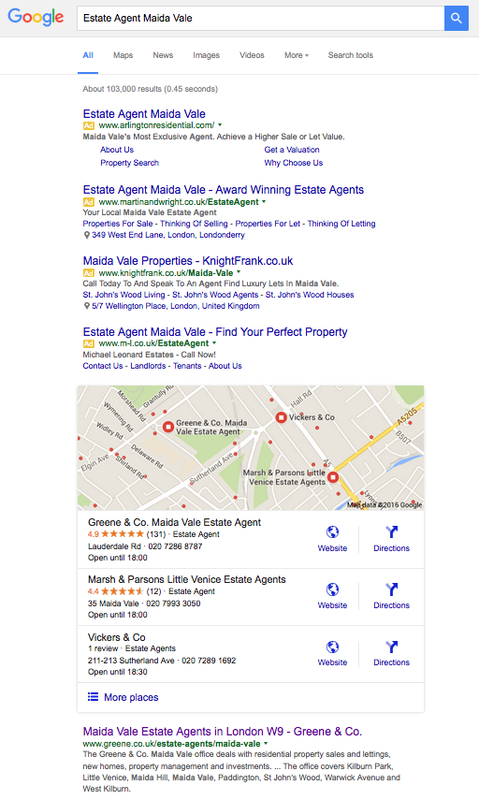 This search ("estate agent" in "Location") is the most common search made by your potential fee-earners. It is also one of the most expensive to buy (which Bairstow Eves have done). But did Winkworth need to pay? No - they appear in the 3-pack and they look great with their score of 4.9. Four agents are paying (and competing) with Google Ads. Greene & Co don't need to. With 131 great reviews and a score of 4.9 and the top position in the 3-pack - not to mention the top position in natural search - is that surprising? Don't drop your current strategy - at least not yet - but get Dialogue working for you and see what happens. We have clients saving hundreds a month - surely that's worth testing?